The rules set forth within this document are for the process of ensuring a competition which is fair and just for all competitors. All competitors, judges, coaches and supporters of Kata within the WMO and all affiliated tournaments, must abide by these rules to ensure that all competitors are treat as equals. These rules will be reviewed on a yearly basis by WMO Kata judges from all member states. 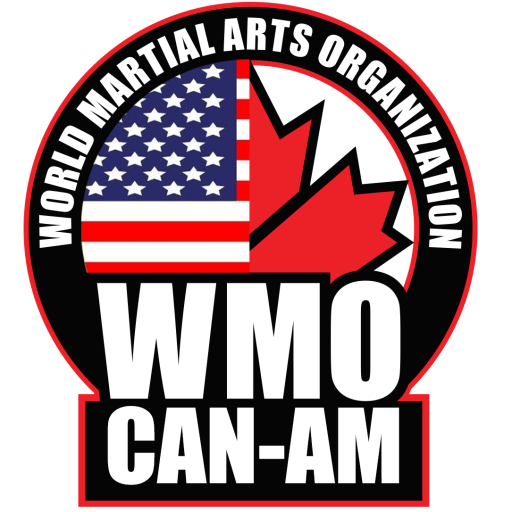 A meeting will take place prior to the WMO world championships each year and all relevant issues or queries regarding Kata will be discussed and where required amendments made via a majority decision process. All proposed amendments will updated and implemented ready for the following years championships. Full respect to the kata area will be maintained at all times. The kata area will be a minimum of 7×7 metres (23×23 feet) in size. Each kata area will have five judges (1 centre and 4 corner judges) and they will have relevant experience in the divisions being judged and WMO rules. There will be two table persons, who will note scores for each division. These will consist of judges or individuals trained in this area. Only competitors for the division called will be allowed around the kata area, and a member of the judging team will lead them to where they are to stand. All competitors, equipment, coaches and spectators will remain behind the barriers at all times. This is to help the tournament organisers adhere to health & safety and risk reduction, especially in divisions where the use of weapons is required. It allows all spectators the ability to view the kata area safely. It allows the judges to perform their intended roles within the tournament free from external influencing factors. It ensures that all competitors are not distracted by any external factors such as bystanders walking on the kata area. On entering the kata area, each competitor will ask permission from the centre judge by show of open hand. Once the centre judge has nodded his/her approval then the competitor may step onto the area to begin their kata. Announcing will depend on the division and style and will be discussed in style specific section further in this document. Each country can enter 3 competitors in each division, these should be the 1st, 2nd and 3rd place medallists from their national championships. All competitors must be able and ready to compete in their relevant division. The competitor/coach/instructor should ensure that the techniques performed within the kata are suitable for the capabilities of the competitor and do not put them at risk of injury. Competitors must demonstrate appropriate etiquette towards the tournament, peers, spectators and officials at all times. Competitors will ensure that they have the correct attire and equipment relevant to their division and country (this will be detailed for each division). No jewellery will be worn during the divisions. Any piercings that cannot be removed must be covered with a tape or plaster. Competitors must ensure that they have entered the correct division for their practicing discipline. Competitors must adhere to the rules set forth within this document. All judges will give an impartial judgement based on the WMO competition rules and regulations. Where possible all five judges will be from different countries to eliminate bias. If this is not possible, a judge from a neutral country, with no competitors in the division will be used. This would be the only time when 2 judges from any country will be allowed on a mat judging together. If a judge has a student or child competing in a division, they must step out of the division to eliminate bias or accusations of such. Carry out his/her duties responsibly, impartially and conscientiously. Become familiar with basic martial art techniques and routines from all styles. Become fully conversant with the WMO competition rules and regulations. Make every effort to attend WMO judge refreshers courses which will be ran twice yearly. Not be influenced by personality or other factors. Always carry out their duties to the full and not deviate from their objectives. Keep their martial arts learning and knowledge up to date. Ensure their evaluation is solely based on the contestants’ performance on that day and points deducted as per specifications. On no account should they presume the score of an individual before they have competed. The judge must score what they see on the day on the area. The judge must notate their score on the judging sheet so if an appeal should arise they can explain the scoring to everyone’s satisfaction. The centre judge should question the corner judges if any score extremely differs from the other four judges (this is why notes should be made to justify score). After the final score has been awarded and division has been completed, no changes can be made to the score. All divisions will be ran in a specific order to ensure that they are completed and ran in a timely and appropriate manner by judges with relevant experience in the division being judged.Timings and running order will be posted for all divisions prior to the day of competing. At World level the kata divisions will have 2 stages, preliminaries and finals. The preliminaries will determine the top FOUR competitors to go forward to the final. The same kata/form/pattern can be performed for each round. In the event of a draw in any of the rounds, a second Kata/form/pattern must be performed. This is only applicable in traditional divisions. All competitors must be ready to compete at the times allocated for their divisions. Before the division commences the officials will confirm with the competitors and their coaches that they are in the correct division. The kata must be in keeping with the definition of the style/event. Shotokan kata must be Shotokan and Taekwon-do must look like Taekwon-do and kung fu/Wushu should look like kung fu. In the case of a tie in the Japanese hardstyle, korean, soft style/Chinese and traditional weapons, the competitor must perform a different form. Any queries about a competitors form will be brought to the centre for discussion and a decision made as to whether they are in the appropriate division for that form as defined by the rules of the WMO. If a competitor is not at the kata area for their division, their name will be called and they will be given 1 minute to attend the area before disqualification. If a division finishes early, the next one will not start until the allocated time. The top our competitors in the elimination rounds at WMO championships will compete in the finals and a random draw will be made to set the order of competition. Each competitor must be able and ready to perform their kata/form on the day of competition. All team forms are judged on the same principles as individual division. Introductions are not required for this division, however the competitor can introduce if they wish to do so. No extra marks will be awarded for introductions. Emphasis is placed on execution of technique, application of technique, balance, speed, power, solid stances, focus and overall performance. Forms are scored solely on the above criteria. Adaptation of a form is acceptable, as long as the movements added are traditional in nature. In the event of a tie, another form must be performed. The height of the kick is up to the individual competitor, however judges are looking for good technique, power and focus on all techniques, and therefore kicks are scored on technique. Introductions will be required. The competitor must give their name, their style (Northern style, Chang Chuan) so the judge can expect to see these techniques, and the name of their form. A traditional Wushu/kung fu routine must be at least 50 seconds long. Modern Wushu routines must be between, 1minute 20 seconds to 1 minute 4o seconds long. Tai Chi must be minimum 2 minutes maximum 4 minutes long. Emphasis is placed on execution of technique, application of technique, control of weapon, manoeuvrability of weapon, balance, speed, power, solid stances, focus and overall performance. Kicks should be no higher than head height. If the competitor drops his / her weapon they will receive the lowest score. This division allows competitors to include contemporary martial arts techniques and weapons that have evolved over the last 30 years, this includes complicated passes around the body with at least one hand on the weapon at all times. The form must be no more than 2 minutes in length. Timing will begin once the competitor makes their first step on to the area after the centre judge gives permission to begin. This includes any announcing. These forms are based on a mixture of traditional and creative techniques which have evolved over the years. A pure traditional form will not be allowed in this section. In the event of a tie, the same form can be performed. No dance moves or props are allowed. No Kicks more than 360 Degrees to be performed in this section. This division allows competitors to include contemporary martial arts techniques and weapons that have evolved over the last 30 years within the freestyle forum. Palm spins, wrist or body rolls are all allowed in this section (elements of these should be seen throughout the form). The weapons should be in contact with the weapon at all times within this section. Kip ups, splits and split kicks are allowed. Music must be included in this section. Words are allowed in the music, but any inappropriate words / language will result in disqualification. Judges will take into account choreography with the music. This division allows competitors to include contemporary martial arts techniques and weapons that have evolved over the last 30 years within the freestyle forum. This includes gymnastic, tricking and inverted techniques. These forms are an evolvement of freestyle forms. A pure traditional form will not be allowed in this section. Music is required in this section and necessary. Words are allowed in the music, but any inappropriate words / language will result in disqualification. Gymnastic/tricking/ tumbling techniques are allowed and deemed necessary. The creative forms divisions which include contemporary martial arts techniques that have evolved over many years, only techniques that originate from Martial Arts can be used. Emphasis is placed on execution of technique, application of technique, control of technique, balance, speed, power, solid stances, focus and overall performance. This division can be with or without music. Words are allowed in the music, but any inappropriate words / language will result in disqualification. The extreme forms divisions includes contemporary martial arts techniques that have evolved over many years, only techniques that originate from Martial Arts can be used. Gymnastics moves, arial kicks and inversions are allowed in this section and are deemed necessary. Introductions are not required for this division, however the competitors can introduce if they wish to do so. No extra marks will be awarded for introductions. For traditional forms there are no time limits within the section. Emphasis is placed on execution of technique, application of technique, control of technique, balance, speed, power, solid stances, focus, timing synchronicity and overall performance. These will be based around the set criteria for their style for eg. Traditional will be scored on traditional criteria, while weapons forms will be based on weapons. Depending on division music may be used. Judges are looking for synchronization, showmanship and overall team power. As this is an Open tournament, scoring will be based on performance of the kata/form and not the exact traditional routine set by the origins of the style (forms can be modified but must encompass the techniques within the specific style/division). In the kata/forms event the contestant is appraised on the overall technical ability as displayed in his/her performance. Each competitor starts with maximum score for that level of ability. The maximum score represents the highest level of achievement at the present stage of their martial arts development. Whenever errors occur in their performance, points will be deducted according to the specification of that division. Hence a subtraction method is employed. All competitors within the division will complete their kata/form before scores are shown from all judges. Judges will not confer their scores with each other. Scores will be allocated based on a numerical scale dependant on how many competitors are in the division (eg. 10 competitors would produce a score range of 9.0-9.9). The judge will allocate the highest score to the individual who they deemed performed best and as set forth by the criteria for that division. It is necessary for judges to have a sound and up to date knowledge of the popular forms/styles of martial arts. Where uncertainties occur the corner judges can ask the centre judge to bring to the centre to discuss, for example competitor in wrong division. It is necessary to produce a scoring card that the judge can tick whilst watching the competitor, making it easy to notate a score. This allows the judge to justify their decision in case of queries. The competitor should display good posture during stances and techniques. Posture should be consistent throughout the performance. There should not be any slips, stumbles or falls during a technique or performance. All techniques which are used to strike, block or kick should display good power relevant to their style. Observation should be made on relevant body movement relating to their style to initiate and deliver strong powerful techniques. As every style is different, it should be noted that techniques from differing style start from different positions. Competitors will not be given extra marks for hitting their Gi to give impression of power. All techniques performed should originate from the martial arts style and be relevant to the division for which they have entered. Clean, strong techniques should be made. Take note of foot positioning, accuracy of kicks and hand formation. All kicks will be marked on technique and accuracy first and not height of the kick itself. Degree of technical difficulty should be taken into consideration. All techniques should be performed in relevance to the martial art style it originates and such in keeping for the relevant division. There will be no hardstyle / japanese forms in korean divisions and vice versa. This includes Japanese forms used in art forms such as Tang Soo Do. When techniques or gymnastic moves are used, the competitor should show agility in any jumps, kicks or aerial moves. Balance and accuracy in the landing of the technique should be observed. When performing the competitor should focus on the point of contact of the technique. Transitions when changing directions should be consistent. Competitor should show concentration when performing slow tension or focused moves. Stances should be performed with balance and consistency. Correct positioning of the feet should be observed in relation to the direction of technique. Observe for bending or straightening of the knees. There should be no slipping after or during a stance when not required in the technique. Stances should be finished fully with correct balance and both feet in the correct position. Stances vary from different styles of martial arts, therefore the judges will be looking for clean, strong stances and consistency of these throughout the form. The form should not look disjointed visually. This section relates to the competitors ability to remain consistent within their performance and not be distracted in their focus. All of the above guidelines and factors make up the whole performance of the Kata/Form/Pattern and should be judged as such. Etiquette and discipline should be maintained. All disputes or complaints about decisions and scores will be taken seriously and dealt with promptly and professionally by WMO judges. Complaints to judges must be made in a considerate and respectful manner. There will be no tolerance to abusive and aggressive behaviour from competitors, coaches or spectators towards any officials or table persons. All disputes or complaints should be made directly to the centre judge on the mat as soon as possible, where it can be discussed amicably and openly. The Senior kata Judge will be notified of all complaints. Where a dispute cannot be resolved by the centre judge of the division, the complaint will be discussed with the Senior kata judge and further discussion will take place to resolve the issue. A Decision will be given immediately or within 1hr of the Dispute being made and the division in dispute will be put on hold until a decision is made. If a competitor is unhappy about a decision made by the kata judge or senior kata judge, they have the right to discuss their complaint to the tournament organiser on the day. Video evidence cannot be used for any complaints. All judges at WMO events will be approachable and open to queries, complaints and issues that may arise throughout the tournament. All Weapons will be inspected before each divisions starts. Weapons need to be fit for purpose, e.g. D.I.Y products will NOT be allowed. If the competitor drops his / her weapon they will be disqualified. Weapons are allowed to hit the floor if the competitor is in control of the weapon, e.g. stab into the ground. Bo’s MUST be the right height for the competitor, 4 inch higher / lower will be allowed, any more than this then the competitor will be disqualified. There will be no live blades when using knives, switch blades or swords. This is for safety purposes. All Weapons divisions, except Traditional Weapons, must be 50 seconds from the 1st move and no more than 1minute 30 in length. All music for musical forms must be ready to play at start of the division. There will be no access to CDs players. Please ensure that all music is in MP3 format via Ipod, phone or tablet. Words are allowed in the music, but any inappropriate words / language will result in disqualification.